Eastern Star Church – Fishers, Indiana Campus « Davis & Associates, Inc.
Davis & Associates was commissioned as a subcontractor to complete the interior finish, specialty carpentry, and trim work on Eastern Star Church third location. 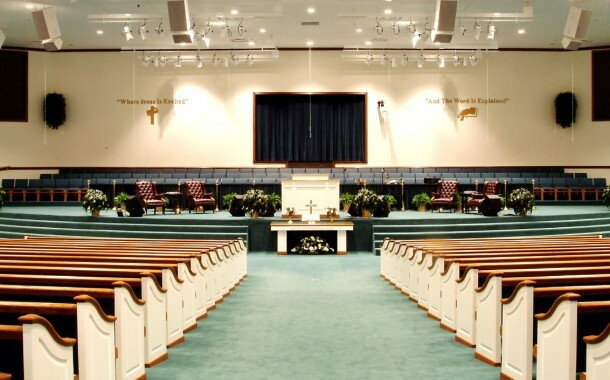 The work included installation of all trim and specialty wall treatments in the Pastor’s Suite, Bookstore, Atrium, Sanctuary, Classrooms, Conference Rooms and Offices. Davis & Associates also performed many other support functions outside of its original scope of work to ensure that the work was completed on time for the grand opening.